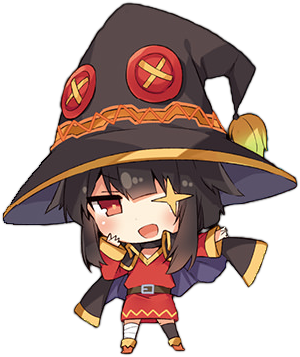 So now we have had Megumini, Kazusmall, and Tinaqua, when do we get to see miniature Darkness? That thing could actually make Vanir rich for once. Just turn it into some sort of magic bag for carrying boat loads of stuff and it will be all the rage among merchants and adventurers.